Gaming has come a long way over the past several years. What was considered "top notch" graphics not long ago is no longer impressive in the slightest, and each platform revision aims to bring faster, more realistic titles to the forefront of gaming. Personally, I think the largest jump has taken place on mobile devices in the last two years or so. As far as Android is concerned, NVIDIA has essentially paved the way for more powerful titles to hit the scene on mobile devices – games like Portal and Half-Life 2 were the best PC gaming had to offer not long ago, and now you can play them on SHIELD Portable or SHIELD Tablet. It's kind of mind-blowing, honestly. 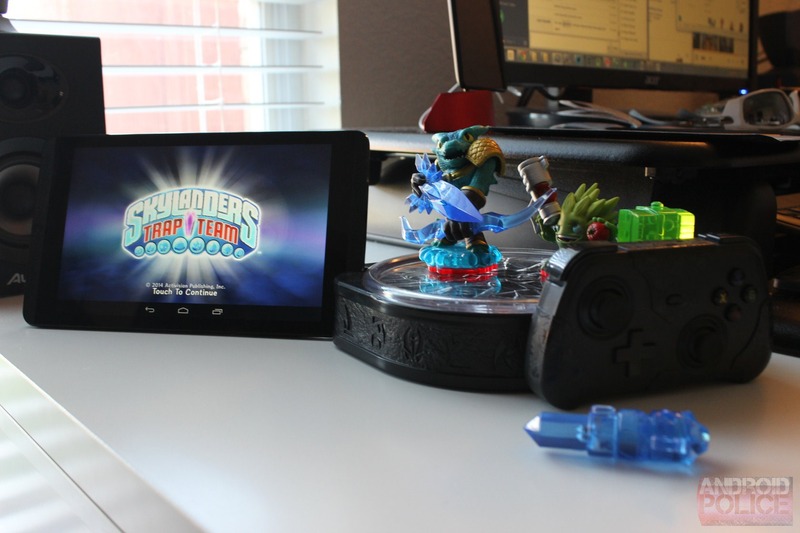 That brings us to today's review – Skylanders Trap Team (Tablet Edition – $75). 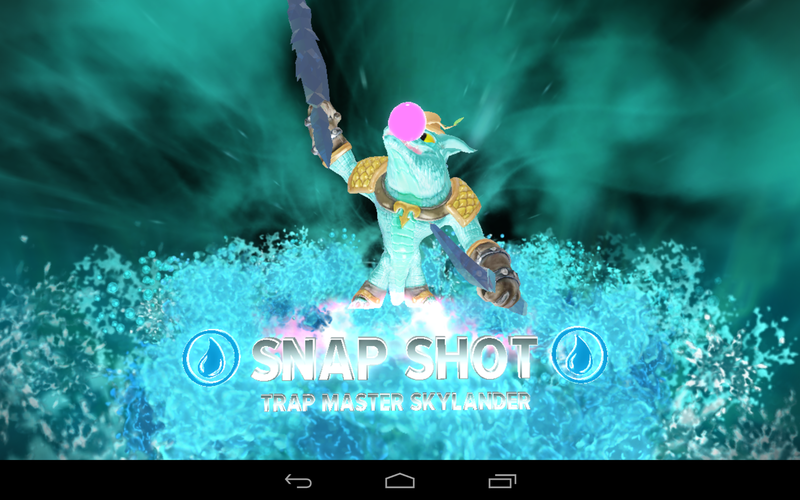 This is the fourth game in the Skylanders series, and for the latest iteration of the game, the company decided to do something unprecedented: offer it not only on the major consoles, but also on mobile platforms. 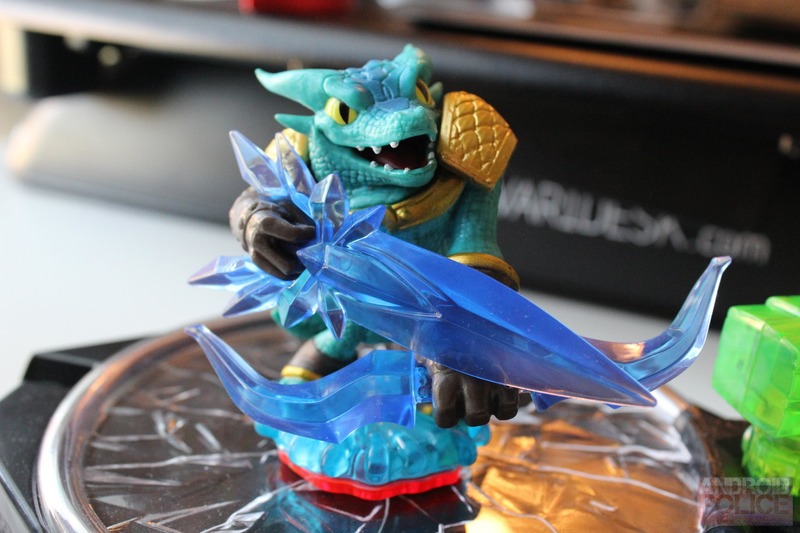 This, of course, required some outside-of-the-box thinking, as the main allure of Skylanders is the ability to buy new physical characters and use them in the game through the portal. With Trap Team, they even added another tweak: the option to capture the major enemies inside of traps and convert them to good guys. For this, the portal itself needed a makeover (a place for the traps). While the portal itself works basically the same across all platforms, the tablet edition game ships with a Bluetooth portal and controller. The portal connects quickly and easily, and works absolutely flawlessly. There's even a slot on the side which works as a tablet stand. It's absolutely brilliant. 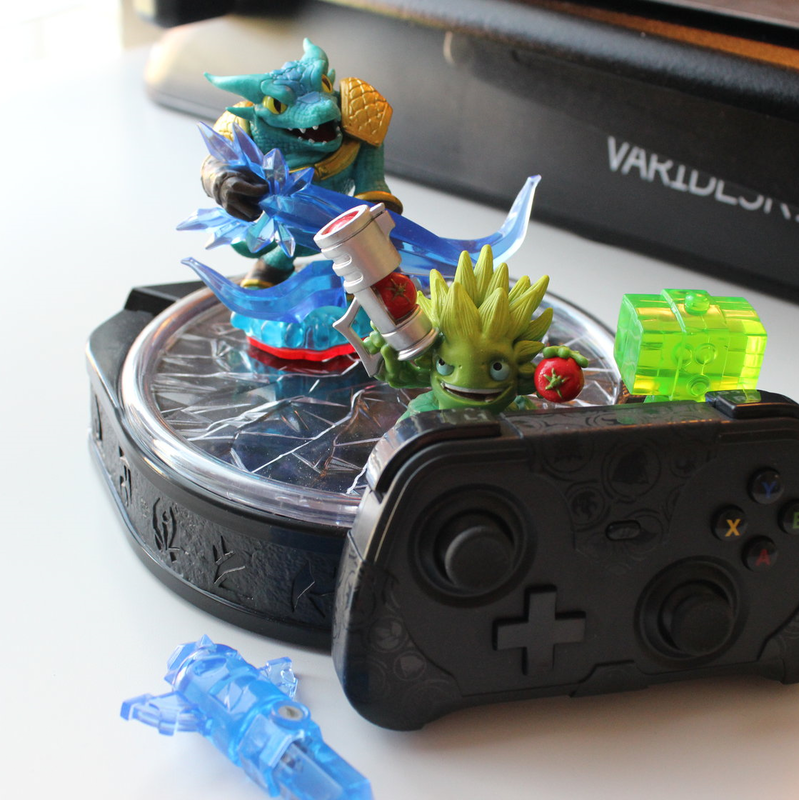 The controller is OK for the most part, but it's small, flimsy, and only works with Skylanders. For kids, however, it's probably good enough. When it comes to actually playing the game, I'm still blown away that this is on a mobile platform. I tested Trap Team primarily on SHIELD Tablet and everything just worked perfectly. The second a character is lifted from the portal, the game prompts for a new one to be inserted – no lag, no hesitation. It's exactly as it is on a console. This is some next-level stuff, at least in my opinion. Gameplay itself is pretty typical Skylanders action: it's a not-too-difficult game (it's designed for kids, after all) where you run around beating up baddies. Characters can be upgraded with new powers and skills, new armor can be worn, and so on, so forth. The concept of the game is very easy to understand, yet deep enough that it should keep it entertaining for most. People who've played Skylanders before shouldn't have any issue picking Trap Team up and jumping right in, but it's easy enough to get started with for those who have no previous experience with the franchise. 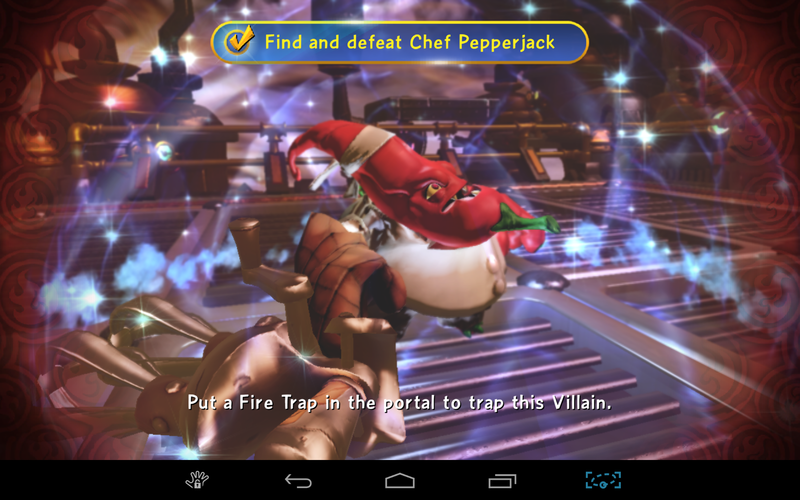 While the portal is normally required in Skylanders to play the game, the tablet edition of Trap Team features an "on the go" mode, which allows the game to be played with "instant" characters – essentially, these are base models of the characters that ship with the game (Snap Shot and Food Fight), allowing the game to be continued without the use of the portal. Is it as fun? Not really. Is it convenient? Absolutely. Aside from the normal kill the bad guys storyline, there are a slew of minigames throughout the Trap Team world. Everything from a Guitar Hero-inspired "rap battle" to a tower defense-esque melee battle, and a few things in between, there's always something to do. 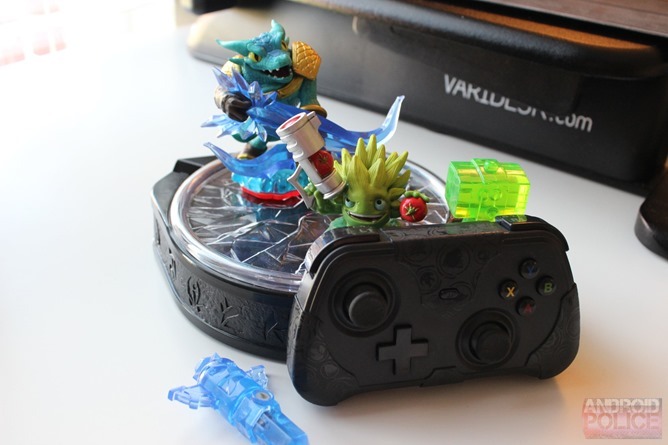 As good as Skylanders is, though, it has a few downsides. For starters, it's packed with ILP (in life purchases). If you want to trap any baddie outside of the water or life elements, you'll need to shell out for more traps, which sell for $15 a three-pack. 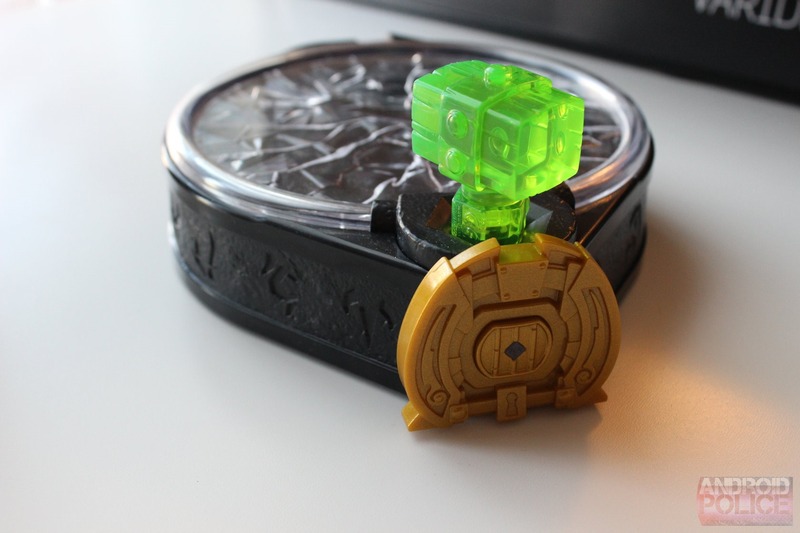 There are technically nine traps total – one for each element, and a Kaos trap. The only catch there, however, is that you have to buy the Dark Edition set in order to get the Kaos trap, and that edition isn't available for tablets. So unless you're willing to shell out $50+ to buy it on ebay, Kaos is out of reach on Trap Team Tablet Edition. Looks like I was wrong about that and Kaos will be available for all platforms in November. Yay! Along with traps, there are other characters. Trap Masters, Minis, and Core Characters can be purchased individually to the tune of about $15 (Minis come in two packs, though). There are four different packages of Minis, nine Trap Masters, and ten Core Characters, so that total can add up pretty dang quickly. 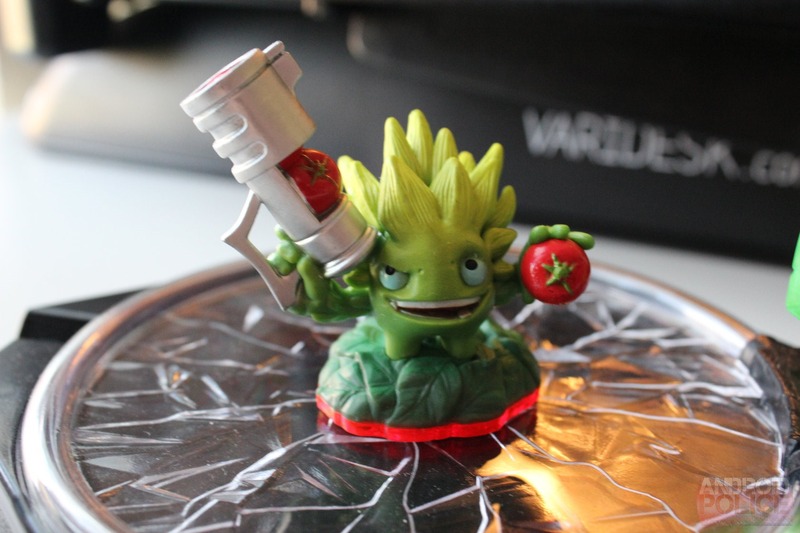 But again, if you're used to Skylanders, you already know that. 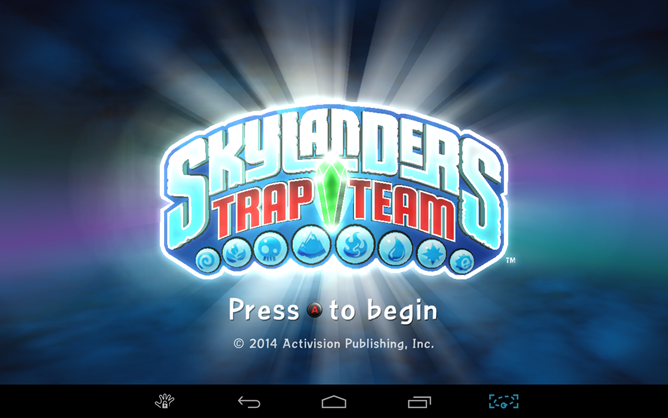 All that said, you can play the game without any additional traps or Skylander characters, it just won't be as fun. Another downside of Trap Team is the sheer size of the game. On my SHIELD Tablet, it takes up a staggering six gigabytes worth of space. That said, you can also "stream" the game (which saves about four GBs), but the performance drops dramatically when that option is used. After a couple of tries with the streaming option, I decided to take the plunge and install the full game. It's worth it, assuming you have a ton of space on your device. 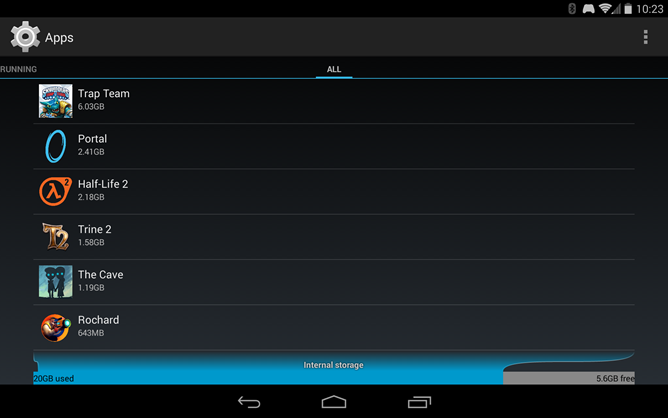 Lastly, this game is a battery killer. After about half an hour of gameplay on SHIELD Tablet in console mode, it chewed up about ten percent of the battery...while plugged in. Yeah, it's like that. It's nuts. When unplugged, naturally, it drops much faster – about a percent per minute. The entire battery can easily be sucked down in one gaming session, which is sure to upset any child who can't get enough Skylanders action. Past that, I think Skylanders Trap Team is a pretty amazing mobile game. 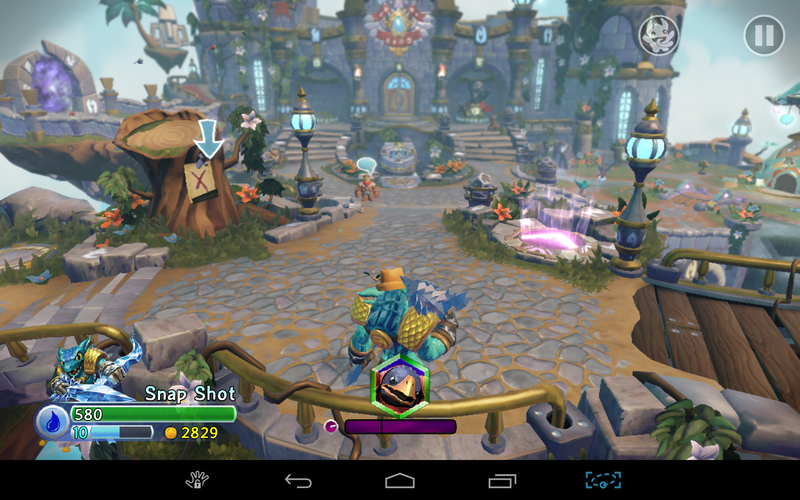 The Bluetooth portal works flawlessly, and it brings true console-style gameplay to mobile. This game will definitely be a hit with kids (though adults can have some fun with it, too), and it does a good job of showing how versatile Android really is. 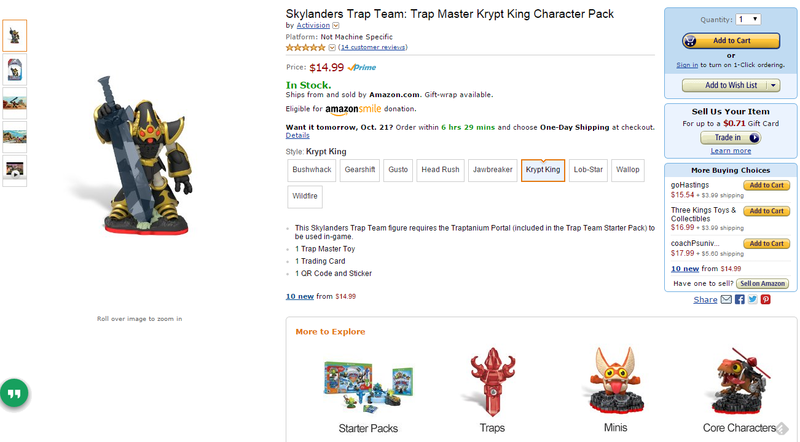 Assuming you have the space to store the game and don't mind shelling out a bit more money to at least buy the extra traps, Skylanders Trap Team is definitely worth owning.